Veer Towers was designed by architect Helmut Jahn and is a spectacular example of our modern age. 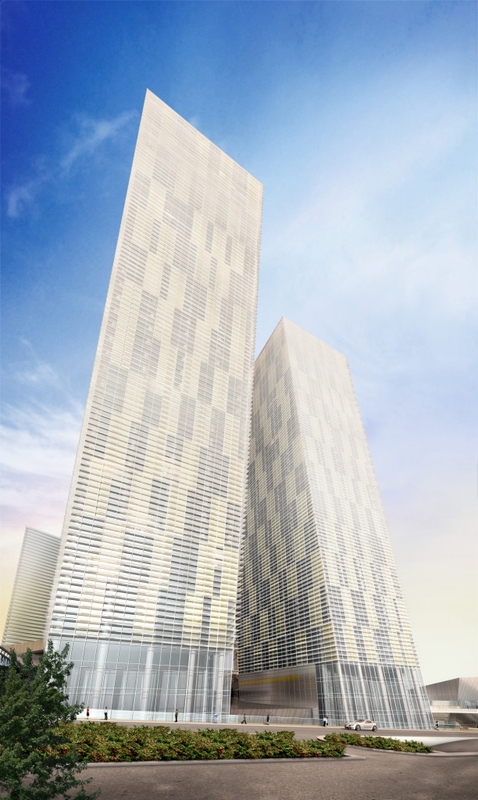 These two towers rise 37 stories with approximately 335 condo residences in each tower. They are both inclined at 5 degree angles which gives them the illusion of dancing. Fransisco Gonzalez-Pulido designed the lobbies and public spaces with impressive works of glass and metal with tons of natural light. The residences were designed by Dianna Wong Architecture and Interior Design, INC. which incorporates a modern style with a sleek openness, floor to ceiling windows for great light, and spa-styled bathrooms. 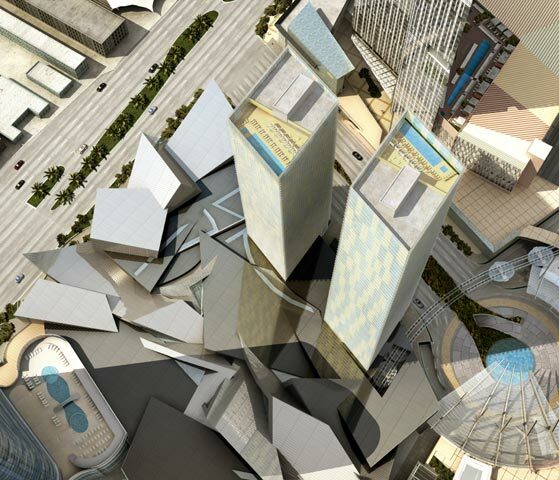 Veer Towers is also very conscious of people on the go with such feature as a private valet, a fully staffed lobby, a business center, recreation room, an upper floor media room for films, and a fitness center. The thing I found so amazing was the roof top infinity pools surrounded by decking for sun bathing and relaxing. Can you imagine getting a tan on top of your building over looking the hustle and bustle of the city? The residences are available in studios, one and two bedrooms, and penthouses. Square footage ranges from nearly 500 sq feet to 3,300 sq feet. Prices start at $500,000 up to $4,505,000. For more detailed information or floor plans, please contact Felipe Crook at Felipe@felipecrook.com or call him directly at 702-683-2169. I look forward to helping you own a piece of Las Vegas.